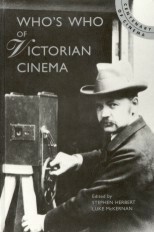 Harry Short, a friend of British pioneer Robert Paul, appeared in the first successful film taken in England, outside the home of Birt Acres, in February or March 1895. We first hear of Short as arranging for two Greek entrepreneurs, Georgiades and Tragides to meet Robert Paul. They wanted Paul to make copies of the Edison Kinetoscope, which he subsequently did - the start of the film manufacturing industry in Britain. Short was at that time assistant to Birt Acres at Elliott's photographic works. Acres needed an engineer to manufacture a cine camera, and Paul needed a photographer to help develop a camera and shoot the films for his Kinetoscopes. Short introduced Acres to Paul. Henry Short himself - dressed in cricketer's whites, presumably to show up better on the film - appeared in their first test film. Reproductions of two fragments of this film, now known individually as Incident at Clovelly Cottage and Cricketer Jumping Over Garden Gate, were subsequently published. Short was himself involved in the design of film equipment; in February 1896 he patented an intermittent mechanism but does not seem to have pursued its development. That summer he went to Spain and Portugal, and filmed fourteen subjects for Paul, including a bull fight, Portuguese Railway Train, and A Sea Cave near Lisbon, the latter one of the most successful early British films, still in the Paul catalogue in 1903. In 1897 Short toured Egypt and photographed thirteen subjects, including A Cairo Scene; Selling Water from a Goat Skin and A Scene of the Pyramids. Cecil Hepworth commented sarcastically in the Amateur Photographer : '... animated Pyramids might be worth seeing. The Psalmist says something about mountains skipping like young rams.' The films were shown in October 1897 at the Alhambra Theatre, London, as A Tour in Spain and Portugal. That same year Short formed a company, the Anglo-French Filoscope Syndicate, to market the Filoscope, a flip book in a metal holder, with a short lever to facilitate the action. Subjects were Robert Paul films, including the speciality dancers May and Flora Hengler, music hall artist Chirgwin, and A Soldier's Courtship (starring Fred Storey), filmed on the roof of the Alhambra Theatre, London, in April 1896.